According to the National Epilepsy Foundation, 1 in 26 people will develop epilepsy in their lifetime. Epilepsy is a neurological disorder caused by abnormal nerve cell activity in the brain. Epilepsy involves recurring seizures. More than 30% of people with epilepsy will experience generalized seizures. 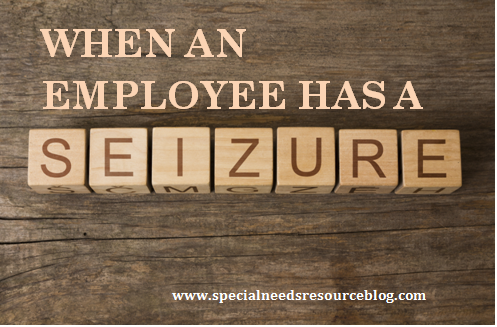 It would not be unusual for a person to experience having a seizure in the workplace.When providing first aid for seizures, try to keep calm and make sure the person having the seizure is comfortable and safe from harm. A seizure can last from a second or several minutes. This entry was posted in Employers, Seizure. Bookmark the permalink.